Eclipse Jetty provides a Web server and javax.servlet container, plus support for HTTP/2, WebSocket, OSGi, JMX, JNDI, JAAS and many other integrations. Java Architecture for XML Binding (JAXB) is a software framework that allows Java developers to map Java classes to XML representations. JAXB provides two main features: the ability to marshal Java objects into XML and the inverse, i.e. to unmarshal XML back into Java objects. slf4j-api: This is the only mandatory dependency to enable SLF4J. If no binding is found on the class path, then SLF4J will default to a no-operation implementation. slf4j-simple: Binding for Simple implementation, which outputs all events to System.err. Only messages of level INFO and higher are printed. This binding may be useful in the context of small applications. 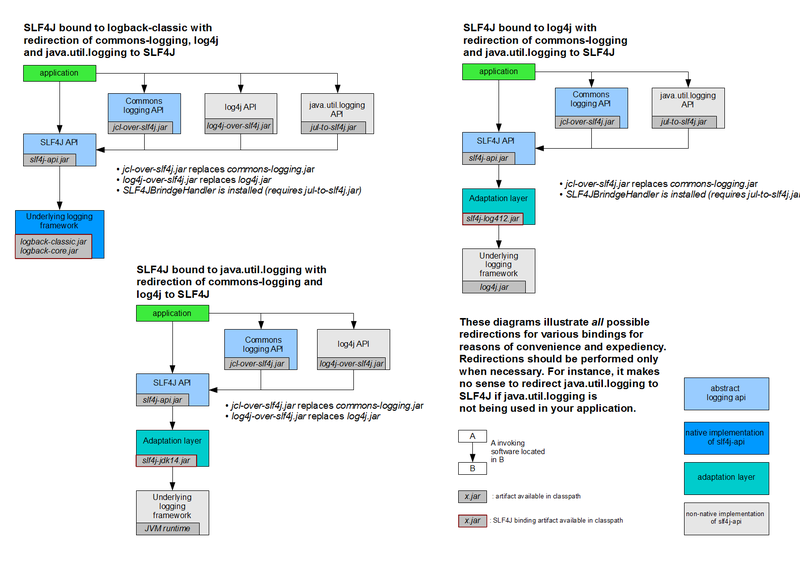 slf4j-log4j12: Binding for log4j. You also need to place log4j.jar on your class path. log4j-over-slf4j (Bridging legacy APIs): SLF4J ship with a module called "log4j-over-slf4j". 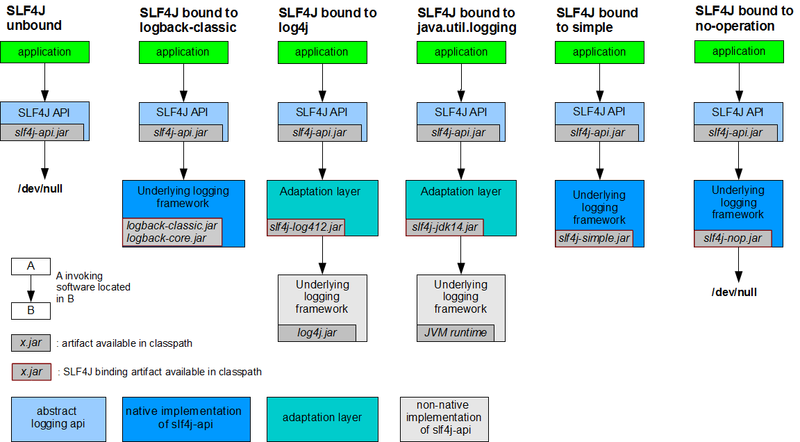 It allows log4j users to migrate existing applications to SLF4J without changing a single line of code but simply by replacing the "log4j.jar" file with "log4j-over-slf4j.jar". Logback is intended as a successor to the log4j project. Logback's architecture is sufficiently generic so as to apply under different circumstances. Logback is divided into three modules, "logback-core", "logback-classic" and "logback-access". Apache Log4j is a Java-based logging utility. Log4j API: The Log4j API provides the interface that applications should code to and provides the adapter components required for implementers to create a logging implementation. Apache Log4j Core: The Apache Log4j Implementation.